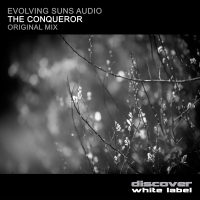 Evolving Suns Audio debut on White Label with this full on release - The Conqueror. Expect the unexpected as driving bass, acid and hints of melody pepper the intro before dropping into the gnarley breakdown which drops a surprise or two before delivering its tech trance payload. Different enough to be cool as you like without being pretentious!! 'The Conqueror' is available now from Beatport and iTunes.